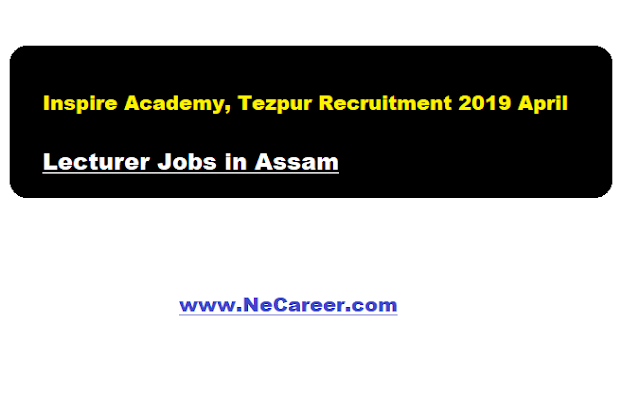 Inspire Academy, Tezpur Recruitment 2019 April | Lecturer Jobs in Assam :- Welcome to North East India's No. 1 Job Portal NeCareer.com .The Inspire Academy Senior Secondary School is a Junior College for Science and Arts streams. Based in Mazgaon, Tezpur, it is a Unit of the Inspire Group of Academic Institutions which has been operating in Tezpur since January 2018. It is looking for eligible candidates for lecturer positions. Educational Qualification: Candidates must have Masters Degree in respective disciplines.